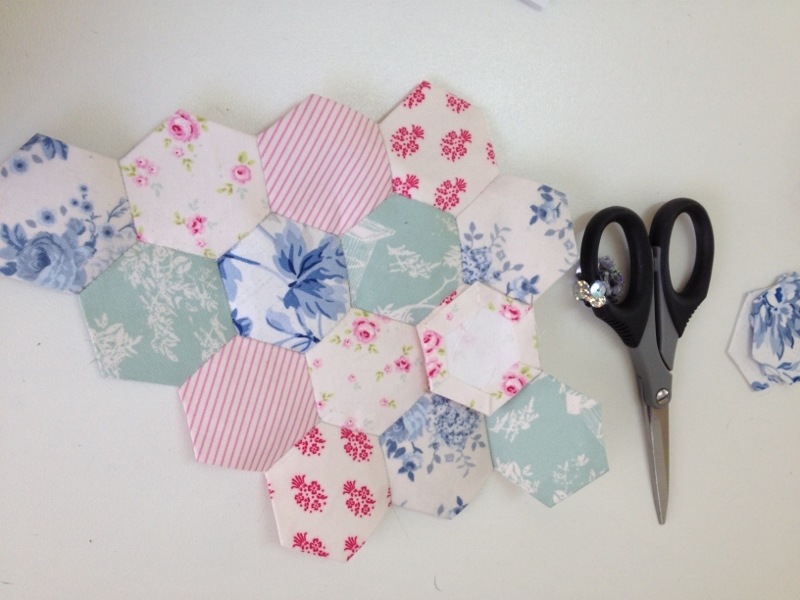 It appears I have infected some of my students with the hexagon craze. Carol is using La Belle Fleur to make her hexagons. 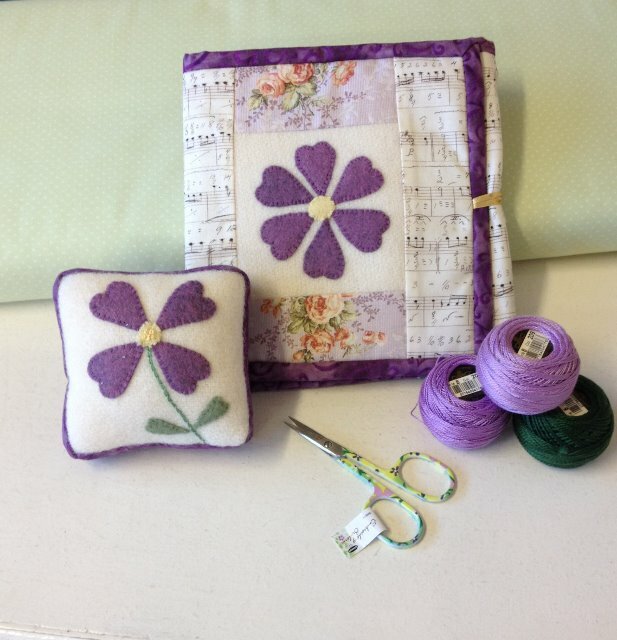 Christine has used Paris Flea Market to make this beautiful table centre. 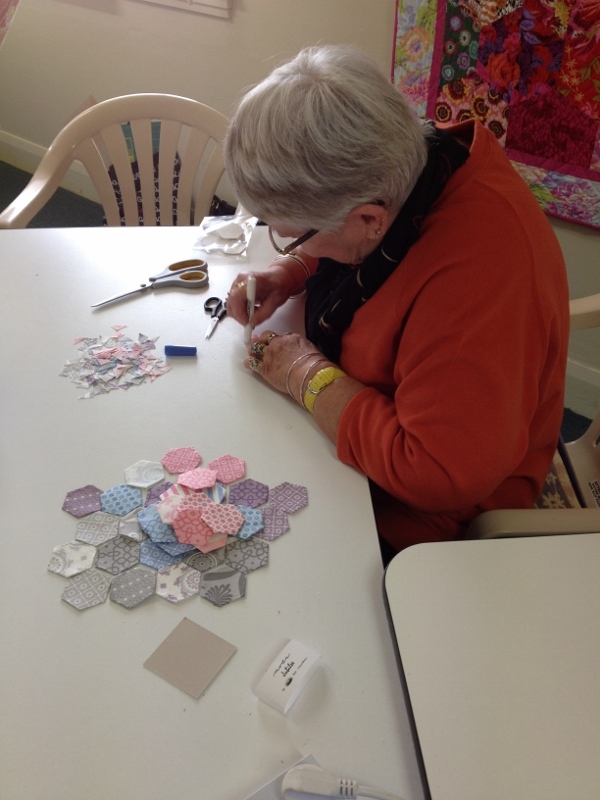 Here's Ann working with Jubilee to make these beautiful hexagons that will soon be made into something wonderful. 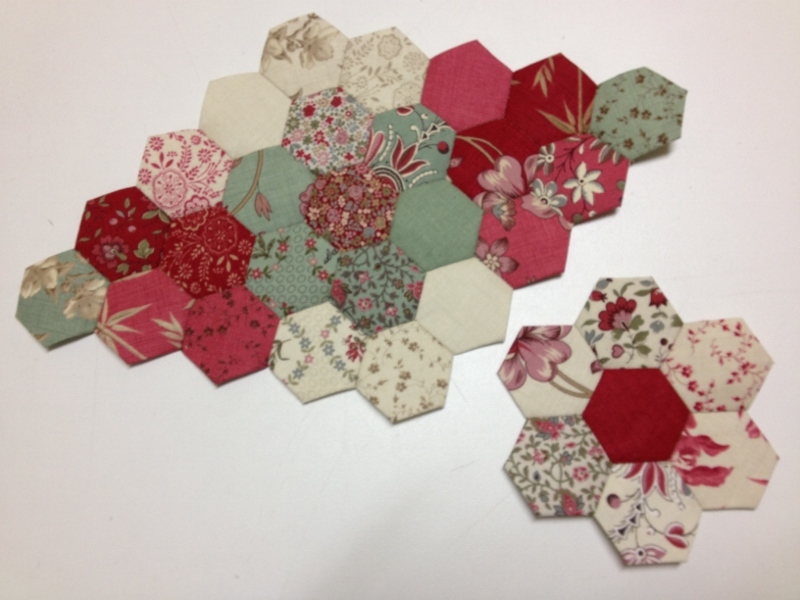 Donna is making great progress with her hexagons and Tilda fabric, below. And Judy's Japanese fabrics seem to change shape each week. 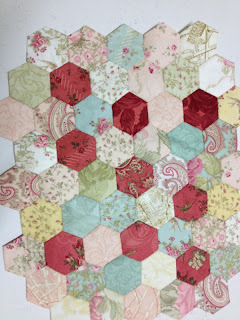 Block 1 of Chateau Hexagon is finished. 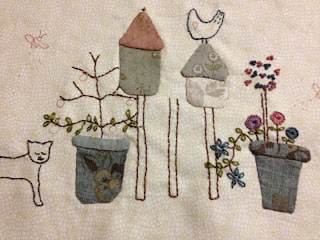 I did have a small hiccup with the appliqued pots. This was last nights effort before the unpicking. Too much wine at the weekend, maybe!! 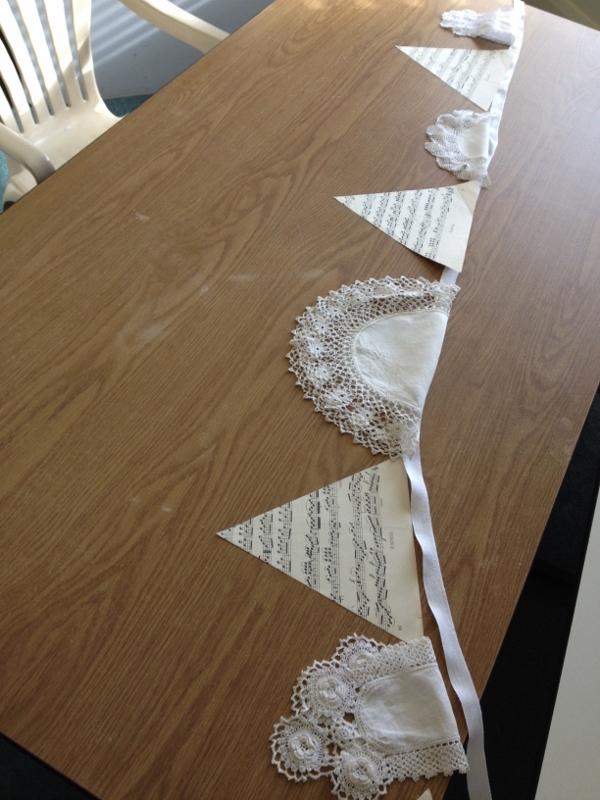 And today I had a play with some music sheets and doileys to make some bunting. 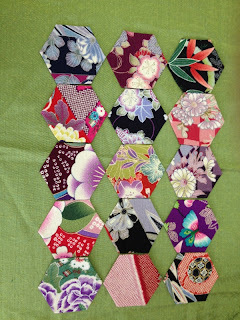 They have been sewn together and are hanging in the shop, but I forgot to photograph them! Looking Good Lillian :))... 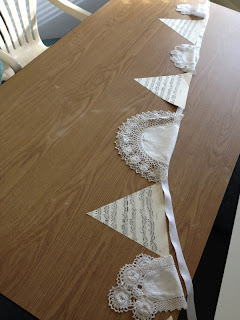 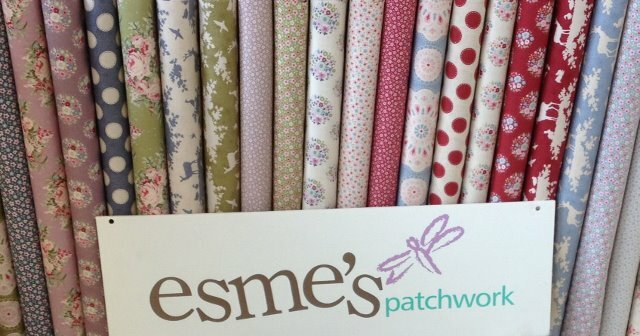 Your students have chosen some lovely fabric..
Is that real sheet music?? 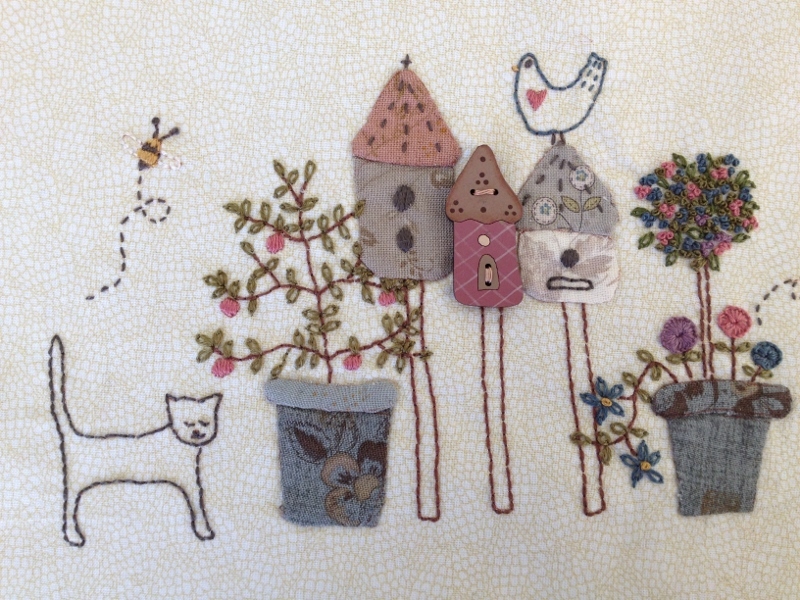 It makes a lovely garland. I think hexagons are addictive!! 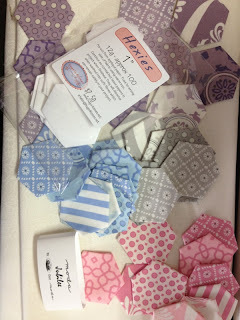 love all those hexies! 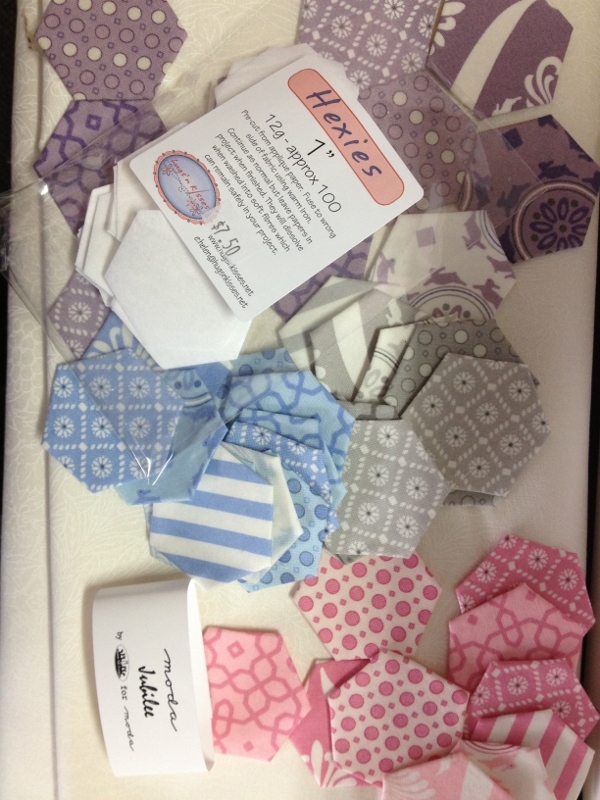 they are so pretty.